Inverness taxi drivers are furious after local councillors approved proposals to do away with the Castle Wynd rank and the rank on the east side of Bridge Street. The west side of Bridge Street will become the only rank in the city centre, accommodating four vehicles, with taxis also allowed to use the adjoining loading bay at night. Councillors also threw out a proposal to use the far end of the High Street at Eastgate as a taxi rank at night. They were told a petition of more than 3,500 signatures in support of keeping the Castle Wynd rank was handed in after the closing date. Inverness Taxi Alliance chairman Andrew MacDonald said the councillors’ decisions ‘beggared belief’. 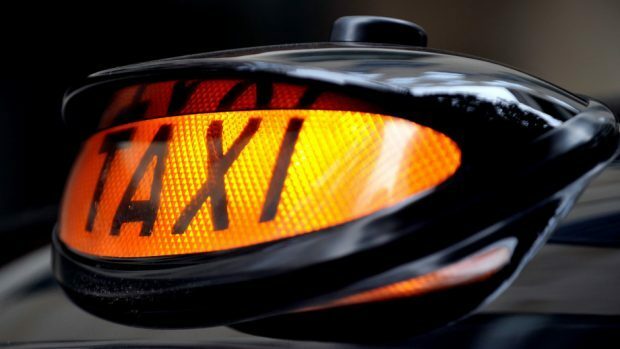 He said: “According to Scottish Government legislation, with 400 taxis in Inverness we should have rank space for one third of them, that’s 130 places. We’re left with four, and the loading bay. “Years ago, it was decided that Bridge Street was too dangerous to have as a taxi rank and Castle Wynd was the safe option. He agreed that officials would seek further solutions to the issue of a night time rank in town following the councillors’ rejection of the Eastgate proposal.